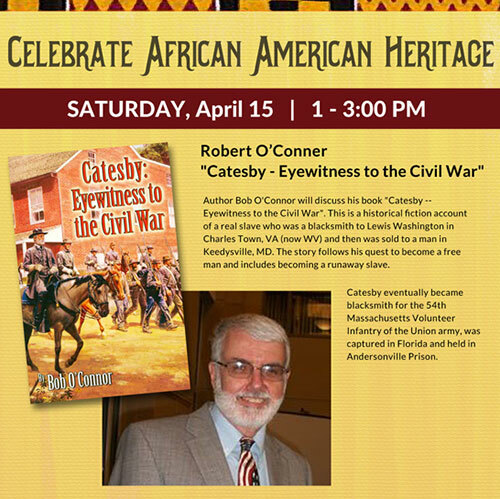 Author Robert O'Connor will discuss his book Catesby: Eyewitness to the Civil War. Catesby is a slave and blacksmith whose journey to freedom has local ties. Free. Walk-ins welcome. Pre-registration suggested.